Chromium-Based Microsoft Edge Preview build is now available for download. The company today launched the new Microsoft Edge Insider site that gives users access to the first preview builds of the new Chromium-based Microsoft Edge browser. There are three different channels: Beta, Developer, and Canary. Canary builds are preview builds that are expected to be quite buggy and updated daily, while Developer builds are slightly more stable builds that are updated weekly, and Beta builds are the ones you would want to use on your main machine. Builds from the different channels can be run side-to-side, of course, so you aren’t limited to one channel at a time. 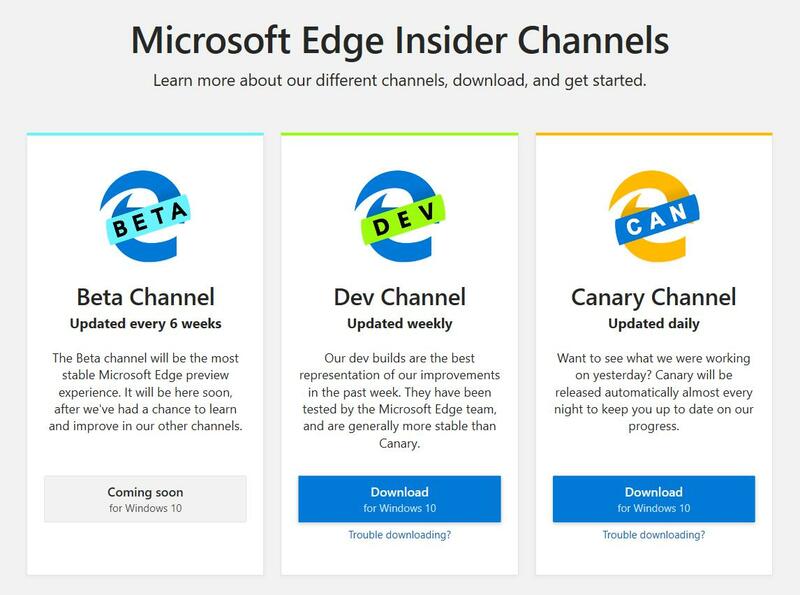 Microsoft is only opening up the Developer and Canary channels today, with Beta builds expected to arrive in the future. The company also plans on releasing builds for macOS and older versions of Windows in the near-future. If you’re ready to participate, you can visit the Microsoft Edge Insider site link below and download Chromium-Based Microsoft Edge Preview build.